For my first home DIY blog post, I thought I’d start with something easy and inexpensive that anyone could do. 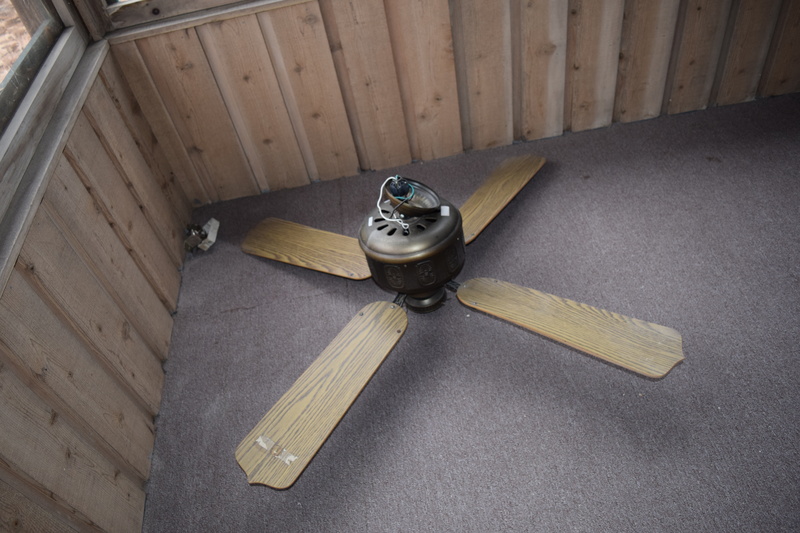 The ceiling located in my soon-to-be studio wasn’t too terrible. 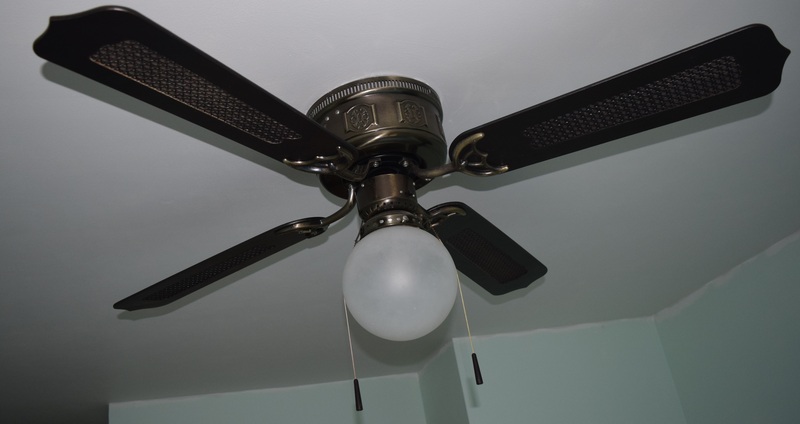 The color of the fixture itself was nice, but the blades were horribly dated and the glass portion was a bit uninspired. 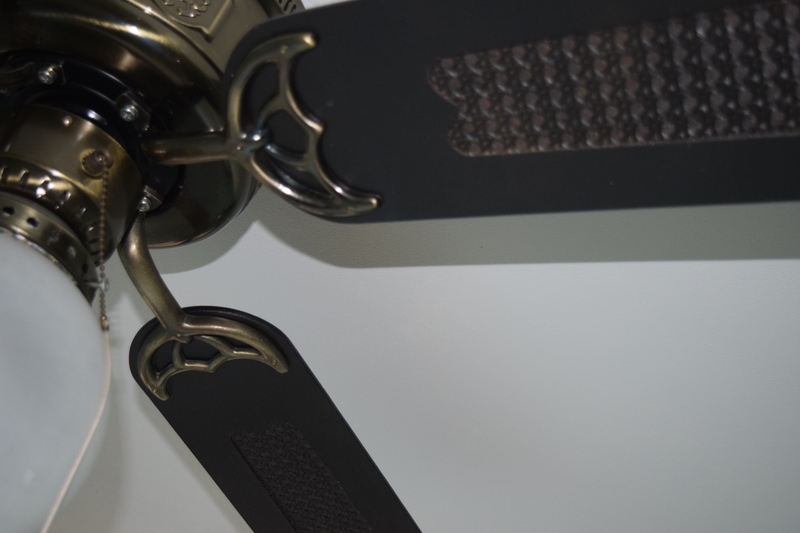 I thought that the blades might look kind of steam-punkesque if I sprayed them metallic. I decided to try spray painting the blades only, and see how a tone on tone would look. I figured if I didn’t like it I could always opt to spray paint the entire thing. For the glass portion, I looked online for replacements but then realized I had a bunch of random light fixtures and parts that I could salvage. 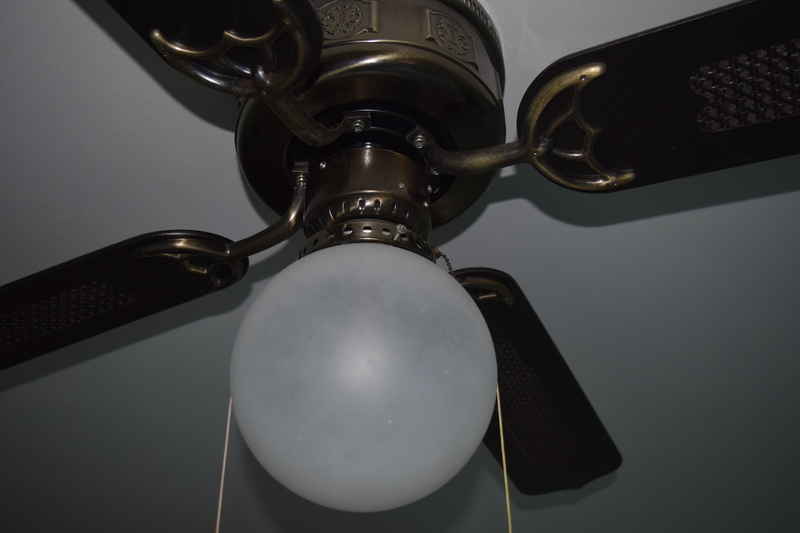 My kitchen had this stained glass fixture with a round glass ball that was just way too large for the shade. 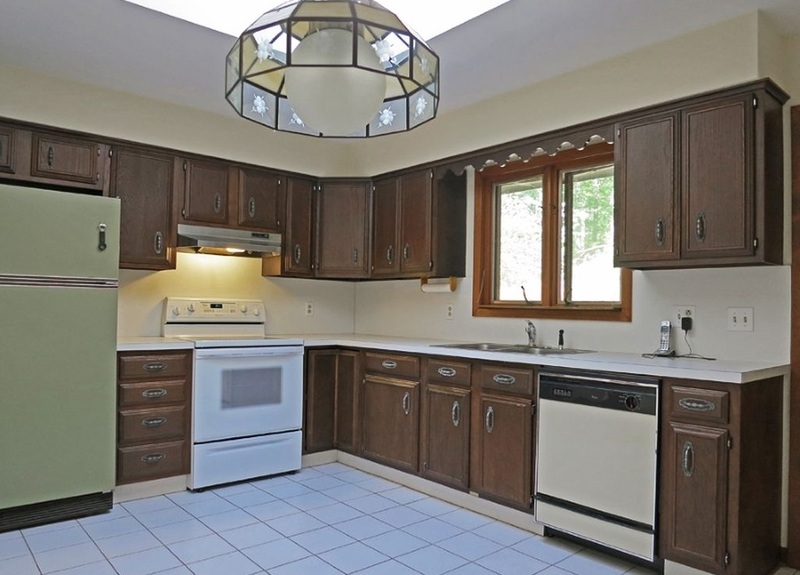 (You can see it below in this oh so lovely before pic of my kitchen). 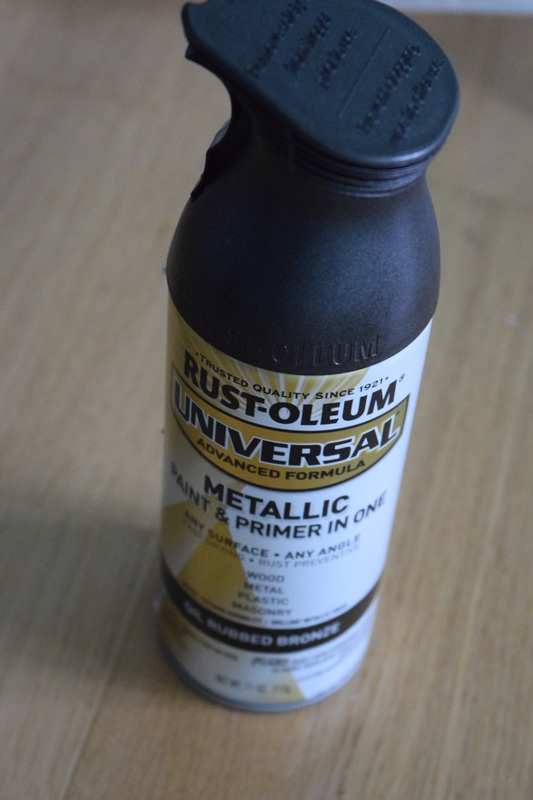 I purchased this Oil Rubbed Bronze Rustoleum Enamel Spray for $6.88 (before tax). 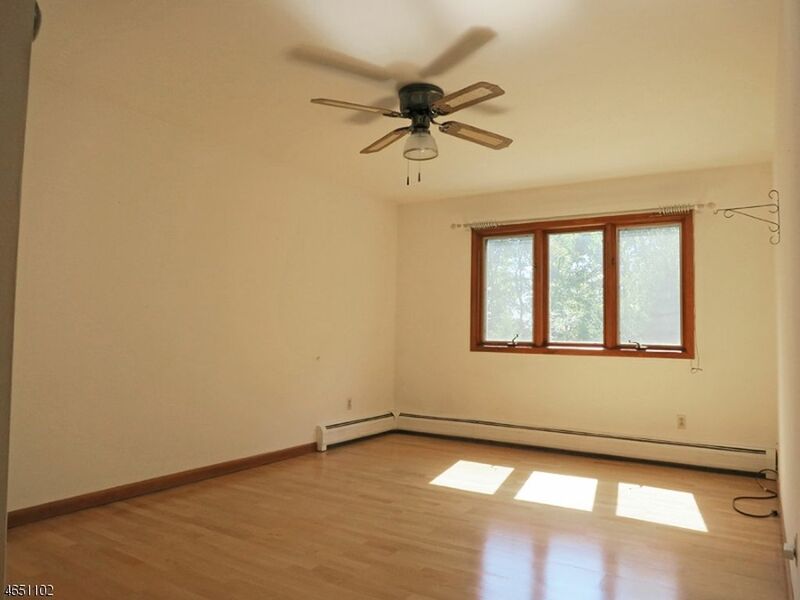 It stated that it was both paint and primer. 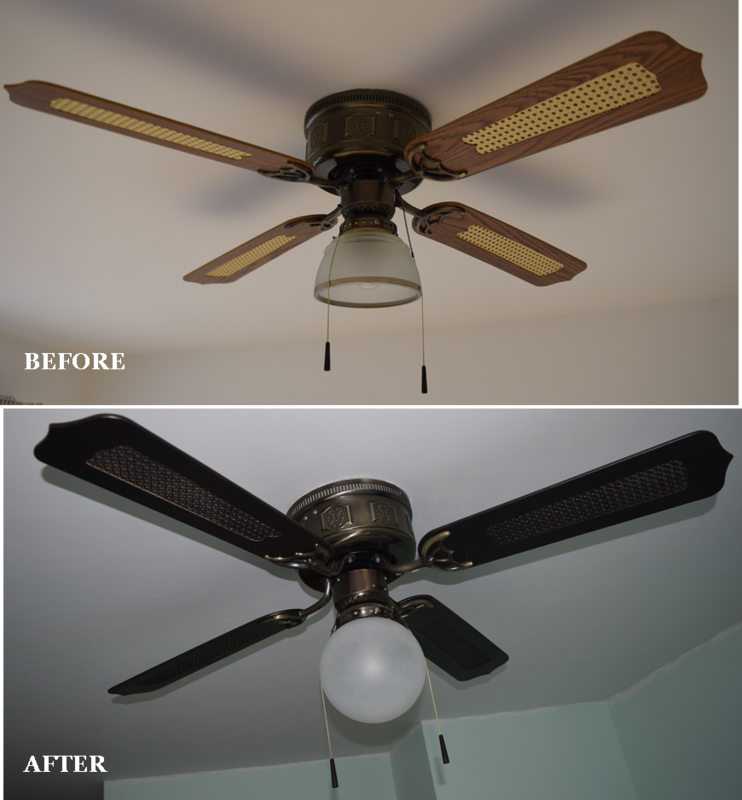 The blades got sprayed and I was thrilled with how the color looked against the existing fixture. The lesson here is that Rustoleum is basically magic. I feel like the light fixture looks more high end now and fits in better with my planned décor. You may not have as many old or broken lights to scrounge for shade replacements, but check out flea markets and garage sales. 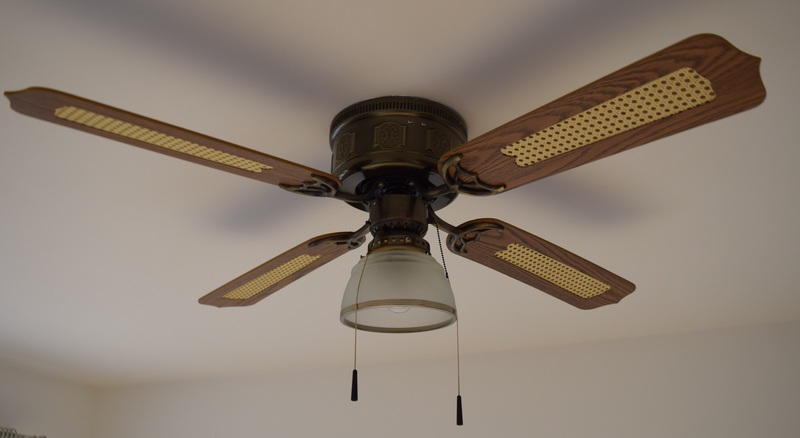 You might not want the whole fixture, but it might have the perfect piece you can reuse. Have you experimented with spray paint in your home décor? Previous article	← February 2017 Orangeglad & 10% off Coupon Code!